This is your Kaye-nadian speaking (by the way, you come up with the best nicknames) and I have a few things to say to you! Don't worry you're not in trouble...although you might be if I don't see some Holiday Happy soon (wink). First, I just wanted to say thank you for being my friend! Your encouragement, kind words, and general all-around niceness put a smile on my face every time I talk to you - I can not wait to finally see you in real life at Quilt Market (omigosh, it's only two weeks away)! Second, I need to do a little raving! 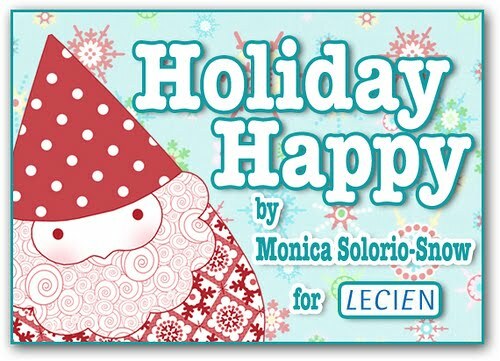 I am so proud of you on the upcoming release of your first fabric line, Holiday Happy, from Lecien - I mean, come on, this is pretty awesome! I can not wait to get my hands on some and start my Chrismukkah sewing! 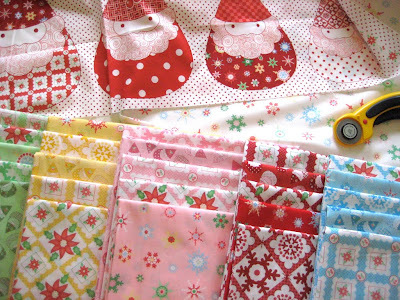 Look at the Santa gnomes - they're so cute and I can definitely see some appliqué in my future...maybe on stockings...you know, the stockings I was supposed to make last year and didn't...whatever, it happens! So wonderful - more gnomes, pretty poinsettias, and colourful snowflakes! 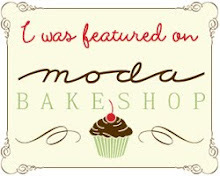 And are those cherries I see? Oh my! I mean, really Monica, what's not to love? I really am just so proud of, and happy for, you! And again, I feel so privileged to call you my friend. By the way, can I come hang in your studio for awhile? 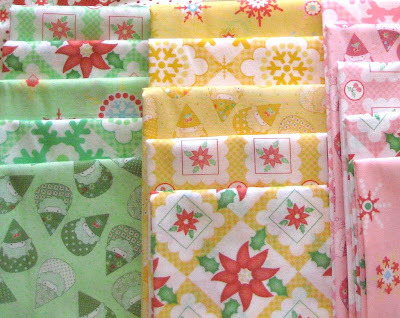 Oh and look, Happy Holiday being sewn up in the foreground! Yes, this room is definitely a place I'll need to visit one day. And don't worry, you won't have to come and visit my sewing room in exchange (since I don't have one) even though we both know how much you love Canada. 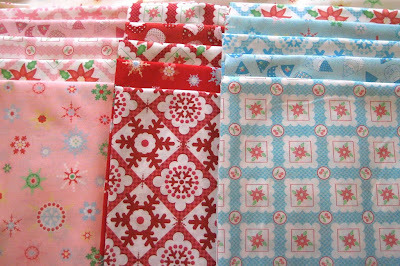 Okay, I'm signing off now - must get back to the Market quilting (you should see my kitchen table right now, it is completely covered in quilt! ); talk to you soon! Notes: All photos are from Monica's Flickr stream, which can be accessed here. 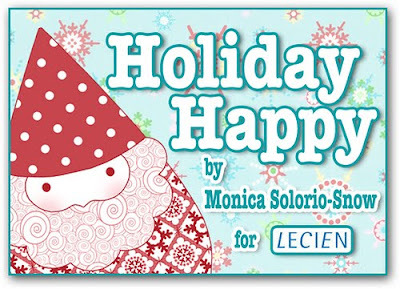 Holiday Happy will be released for sale around July 2010, please check this page for periodic updates and to view the Happy Holiday swatchamacallit. The Happy Holiday Flickr group can be found here. Ahhhhh!!!! Those Santa Gnomes are the cutest! Oh my goodness!!! That studio is just adorable. I wish I had a studio, and not just a kitchen table. 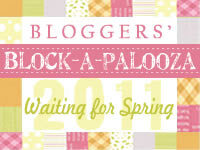 By the way have fun at quilt market! Adorable fabrics!! 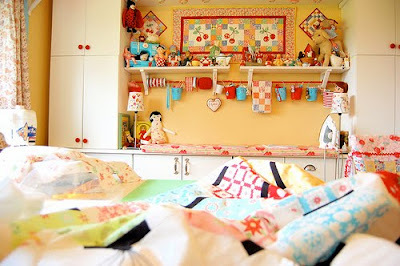 I always love seeing work spaces and I love hers! I like the ironing station between the cabinets.